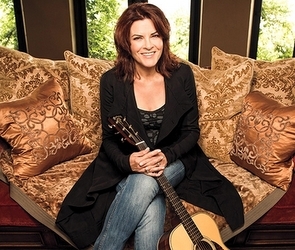 It can be easy to overlook just what kind of impact Rosanne Cash has had on American music over the years. She seems to always be overshadowed by her father, by other famous sons and daughters of country legends, measured against them, and dogged by preceding labels that don’t always allow her to be judged on her own merit, while her musical accomplishments veer towards being somewhat misunderstood because she’s not always been nestled smack dab in the country realm as people want, expect, or anticipate. Awareness of Rosanne in the public realm has also waned here recently because it’s been a full eight years since she put out an album of original material, and five years since she released The List—an interpretation of 12 classic country songs referred to her by her father. But Rosanne’s critical and commercial accomplishments are far more than complimentary, they define a very successful career: Eleven #1 country singles, twenty-one Top 40 singles, and thirteen Grammy nominations is nothing to sniff at, and ultimately might at least get her mentions as a potential Hall of Fame inductee. The style of The River & The Thread refers very heavily to the current Americana approach, and will slide very nicely as bumper music between Terry Gross stories on NPR, and into the Americana Music Association selections come May. It has that slickness, that sophistication, that almost urbanity and upper-crust appeal despite the sometimes dirty, Southern themes the record is laced with. That “white people’s blues” sound is stamped in this album indelibly, and though this will make NPR/Americana crowd lick their lips, country listeners may wish that a little more grit was rubbed into this album beyond the words. The beauty of this album is how it conveys with such reverence the spirit of the river region, with Rosanne’s birthplace of Memphis very much the fulcrum. The River & The Thread doesn’t discriminate in its description of human lives and the landscape in which they live amongst. They are all bound together into this universal body, connected by a cohesive filament sewn into the fabric of every life, artifact, and element, which in turn constitutes a tapestry that unfurls out like a linear story. The River & The Thread is the soundtrack to that story. “Modern Blue” is the song on the album that will draw most folks in with its delicious, guitar-driven melody, but songs like “A Feather’s Not A Bird” and “World Of Strange Design” are the songwriting standouts in how they relay the unique, curious, and sometimes contradicting aspects on Southern life. “Night School” is the buried little masterpiece, with it’s sparse, almost early Tom Wait’s-esque atmosphere and excellent composition, both lyrically and sonically. 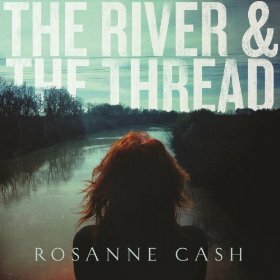 The River & The Thread is embossed by an impressive barn of players and harmony singers, including Rodney Crowell, Kris Kristofferson, Tony Joe White, Allison Moorer, John Prine, Derek Trucks, and John Paul White from The Civil Wars; not just adding a cast of celebrity names to help spread interest in this record, but endowing it with the honor and lineage these names bring that very much speaks to the thematic vision this album is approached with. The concerns about the slickness, almost trending towards predictability in the production of this album are certainly here, especially during its first few listens. But in the end, the songwriting and overall effort are weighty enough to erode these worries and reveal a gem that should be the talk of the Americana world in 2014. I give this album 2 guns way up. I absolutely love it! It’s getting local airplay via “Etta’s Tune.” Leventhal’s “swampy” guitar work is magical. Her voice is still grand. Rosanne was recently on the Late Show, tried to pull up it up but it was loaded with too many ads. This is great. Thank you for placing “A Feather’s Not a Bird” in your newsfeed. She’s the buzz right now! A great piece with her on CBS Sunday morning yesterday, and she was also featured on Acoustic Cafe, yesterday morning! I was flipping around the TV yesterday morning and saw her perform a song from this album by chance. I had no idea she was releasing a new album. She sounded amazing and (wow) she looked amazing for someone close to 60. I don’t get the “Blue Note Records” label part of this though. Looking around it was a Jazz record label that’s now owned by Universal Music Group. Yes, Blue Note is a classic jazz label. I have no idea what Rosanne Cash is doing there. I’ve always loved her voice. And the vocals on this album have a haunting quality to them. Much of this is not in my wheelhouse of what I would listen to, but there are two or three tracks that will be getting a spot on my playlist. Another few ‘swallers’ of sustenance to country music, dying in the desert…. I just streamed the album, and it’s bloody great.